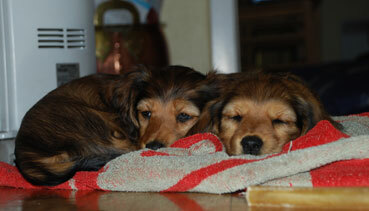 Wow, how the time just fly away. 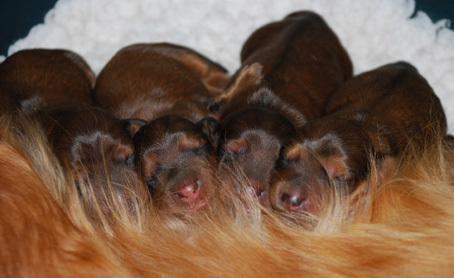 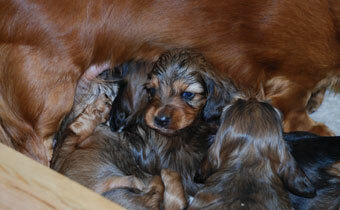 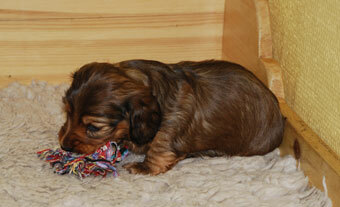 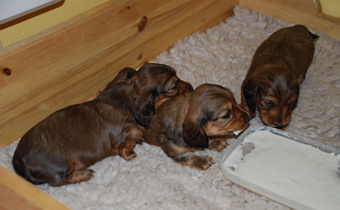 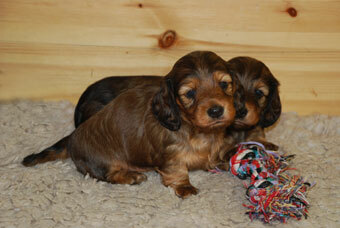 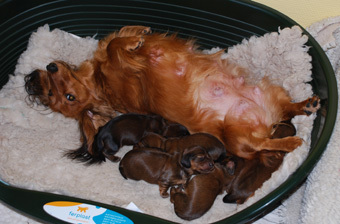 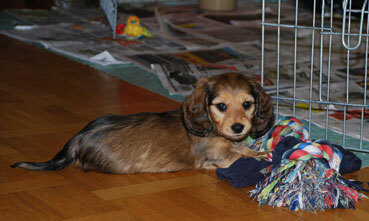 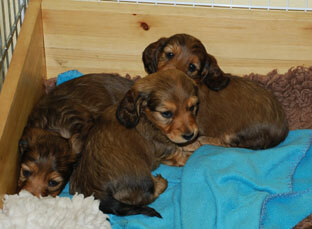 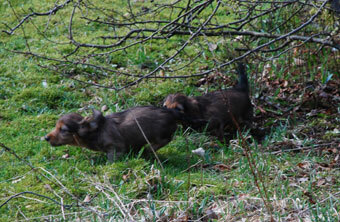 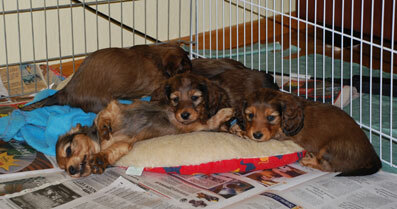 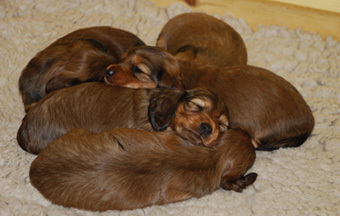 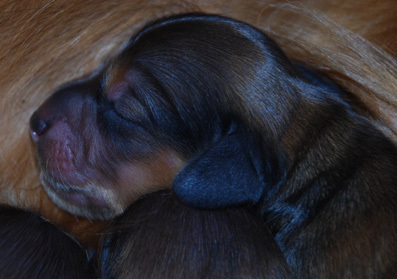 But here are more photos of the puppies, they are between 6 - 7 1/2 weeks old. 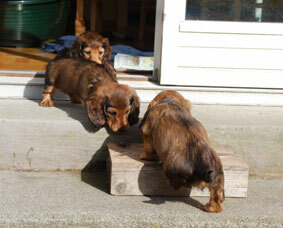 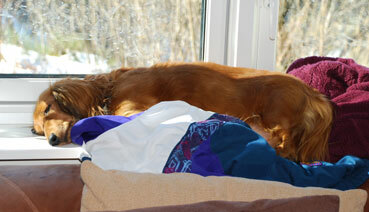 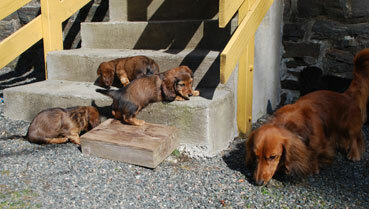 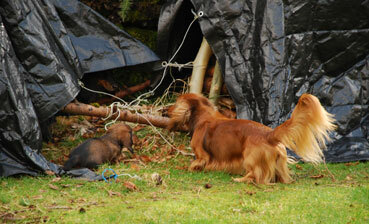 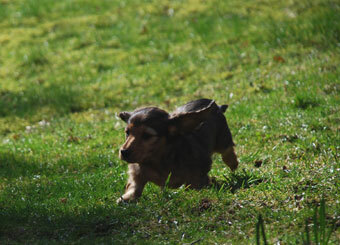 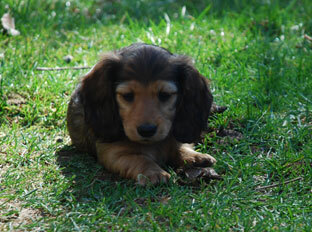 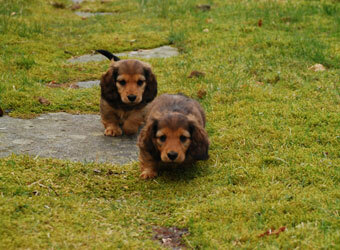 Bergen did finally get some warm weather again, so the puppies has been a lot out in the garden playing. 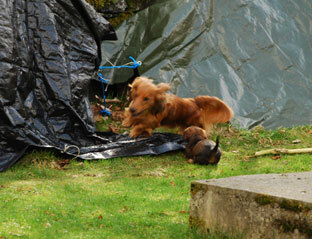 Hi dad, I also want to play. 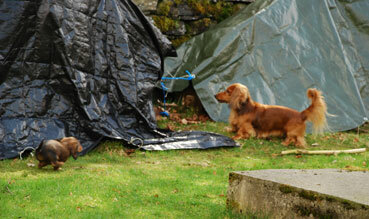 Come out and play, can you see Kelly? 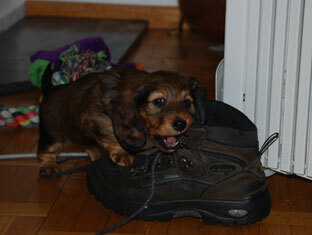 Hi, I found a boot. 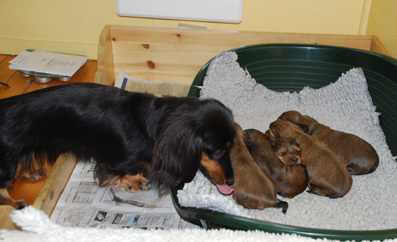 When mummy was out, auntie Kelly visited us.